Whether you call it C-Well, the Well, the Big Green Monster, or just good old Creswell, this residence hall holds a special place in the heart of its residents. Creswell is home to more than 900 freshmen and sits near the heart of campus, just a brief and beautiful walk from the Miller Learning Center, the Tate Student Center, and the hedges at Sanford Stadium. While we know how to have fun in Creswell, we also know how to work hard. Creswell is home to a number of living/learning communities, including: business, global engagement, life sciences, mass communication, music, and pre-law. Our students are often found studying together in lounges throughout the building and conference rooms on the first floor. There is an unspoken rule that silence is to be maintained in the study room on the first floor, especially if you want to avoid dirty looks from Cresidents (Creswell residents) trying to study. The Creswell staff is committed to the academic success of our students and we work hard to ensure that classes are a top priority for each resident. What’s unique about Creswell Hall? Location, Location, Location! Creswell is located adjacent to Bolton Dining Commons, which means that residents have quick and easy access to the delicious dining options offered by the UGA meal plan. Thanks to the awning covering the walkway to Bolton, Cresidents don’t even get wet when it rains! Creswell is also conveniently located next to Legion Field, which gives residents the opportunity to participate in concerts at the venue. Actually, it’s easy to participate in most of the concerts because you can hear the music right from your room! Even better, you don’t have to go far to find great places to hang out around Creswell. The patio by Bolton has great picnic tables and benches perfect for studying, not to mention the sand volleyball court that is almost always in use. Oh, and did we mention the game room for Cresidents conveniently located on the first floor? There is an energy in Creswell that you will be hard pressed to find anywhere else on campus. 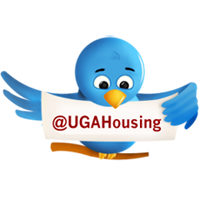 Our Cresidents love living here, and our staff members make sure the short year they spend with us is unforgettable and sets the tone for the rest of their time at UGA. Perhaps you to have to live here to truly appreciate how special this place really is, but I think the motto prominently displayed in the lobby sums it up nicely: Live Well. Learn Well. Creswell. didn't get his first-pick residence hall, O-House. Why did you choose (or did you) your residence hall? Actually Creswell was my second choice next to O-House. I like to think that it was meant for me to be here in Creswell despite my first choice. My favorite thing about Creswell is that it is not only a residence hall but it is a community of people who all interact with each other so we are all one big family. If you could only bring one item to your room outside of basic necessities, what would it be? Headphones are a great item to have both for your sake and for your roommates. My favorite experience with my roommate is going to Wal-Mart and bargaining with the manager to discount us the display futon and then proceeding to sit in the parking of Wal-Mart on our new futon for half an hour. 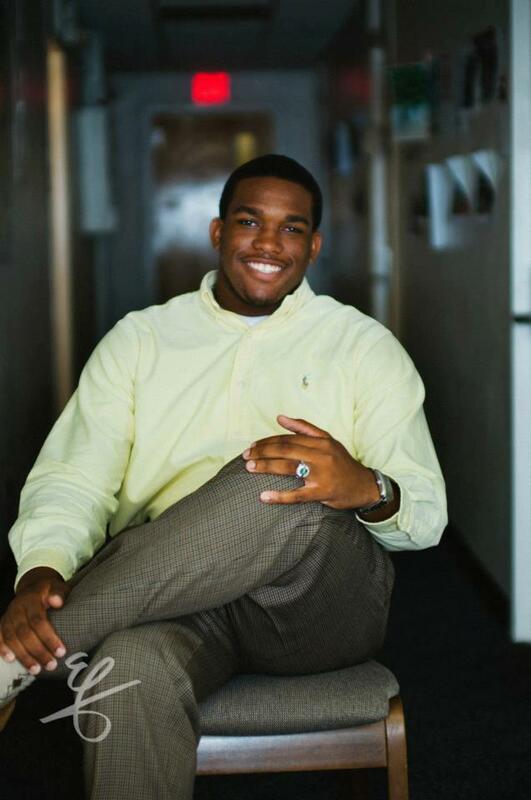 Ryan J. Hill is a second-year Master's student in the College Student Affairs Administration program at the University of Georgia. Hill works as a Graduate Resident in Creswell Hall supervising the Resident Assistants in the Goshen Colony. A soon-to-be "Double Dawg," Hill earned Bachelor’s degrees in German and Political Science with a minor in English from the University of Georgia. Don’t let policy violations happen to you!